In the first Cambridge exam season following the introduction of the simple class list opt-out procedure, 36.5% of eligible students chose to opt out, Varsity can reveal. 4,570 undergraduates and 103 postgraduates out of 12,803 eligible students chose to opt out of having their marks displayed both online and on notice boards outside of Senate House, according to data obtained from a Freedom of Information request. Opt-out rates were particularly high among first-year female students, and arts students. 39% of those choosing to opt out had matriculated in 2017, compared to 21.3% and 32.5% who matriculated in 2015 and 2016 respectively. 2,931 female students chose to opt out of the class lists, as compared to 1,745 male students. Female students represented 62.6% of the total opt-outs despite being slightly outnumbered by male students at the undergraduate level – female students have comprised an average of 48.1% accepted students each year since 2015. Arts students were also more likely to opt out, with more than three-fifths of Land Economy, Education, and Human, Social, and Political Sciences students choosing to do so, compared to only around one-tenth of Veterinary Medicine, Medicine, and Mechanical Engineering students. These trends in opt-out rates – opt-outs proportional to student population – are also evident on the college level. Churchill College had the lowest opt-out rate of undergraduate and non-mature colleges, in keeping with findings that proportionately fewer science students opted out than arts students, as Churchill is mandated to allocate around 70% of its places to STEM subjects. The two colleges with the highest opt-out rates proportional to their student populations – Murray Edwards and Newnham, both female-only colleges – reflect the gender imbalance in the use of opt-outs. 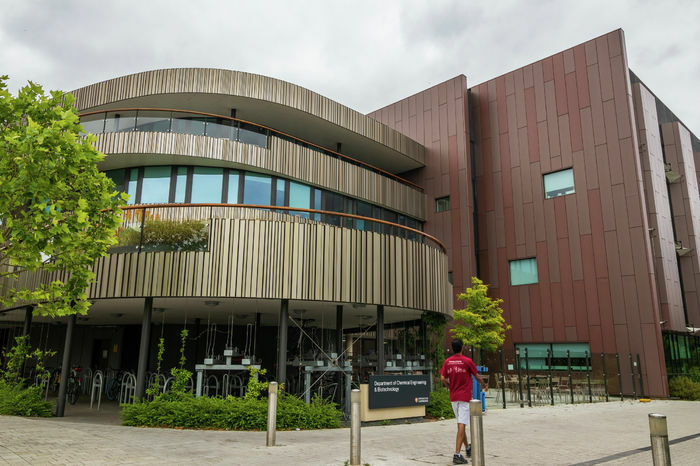 The provision of an easier opt-out system was approved by Regent House – Cambridge’s governing body – in May, following almost three years of campaigning. Previously, students were only allowed to opt out if they specified their specific reason for doing so. ‘Our Grade, Our Choice’, which launched their campaign in June 2015, gathered over 1,200 signatures in a petition calling for a simple opt-out. A spokesperson for Student Minds Cambridge, a society which campaigned for the introduction of the simple opt-out, called the 36.5% opt-out figure “promising”. They added, a “marks-centred culture is in some ways inherent in the calibre of the institution. What we are seeing now, however, is that the University is starting to prioritise student wellbeing so that such academic competitiveness is not at the expense of students’ mental health”. CUSU Welfare and Rights Officer Micha Frazer-Carroll labelled the simple opt-out as “hugely positive”, calling the process “invaluable for students’ welfare” in mitigating both exam stress and the “sense of competition” in colleges which “undoubtedly have a competitive working climate”. She added that the opt-out mechanism “signals a shift towards students having more power and autonomy over their degrees”. Frazer-Carroll pointed to high opt-out rates among first-years as indicative of Freshers feeling “less confident in how they’re going to do — it’s a period of settling in and finding your feet”, and speculated that opt-outs might be seen as “more alien a concept” to future years. CUSU Women’s Officer Lola Olufemi elaborated on her views of the gender breakdown in opt-out rates, arguing: “women have a lot more to think about as a result of social and structural violence whilst navigating the University”, pointing to “sexism and misogyny” as “embedded into the ways we learn at this University. CUSU Disabled Students Officer Florence Oulds praised the simple opt-out as evidence of Cambridge “not giving into the nonsense of the ‘snowflake’ narrative surrounding students who are making decisions about their own wellbeing”. She pressed, however, a need to shift the Cambridge education focus away from a marks-based system, arguing: if “the University wants to be considered one of the best in the world, it needs to take risks and innovate rather than relying on outdated traditions”. The high percentage of opt-outs brings into question the future of the Tompkins Table, which ranks colleges based on Tripos results. Speaking to Varsity after the simplified opt-out was approved by University Council last December, Peter Tompkins, the table’s creator, speculated that opt-out rates would be low enough such that the table would remain relatively unaffected: “I would not personally expect a deluge of students to wish to absent their names from the results list”. Should class lists be abolished entirely? The 36.5% figure is likely to raise questions around the future of class lists as they exist currently: University of Oxford abolished their class lists in 2009, after 40% of students chose to use the simple opt-out system. Both Olufemi and Oulds publicly support the abolition of class lists. Speaking to Varsity, Oulds expressed her wish that the elimination of “unnecessary and even malicious competition” of class lists as a result of high opt-out numbers might “allow the University to focus more on the individual education of its students, and concern itself more with being adaptive to their needs rather than forcing them into arbitrary rankings”. In April 2016, Varsity revealed that a review of class lists by the General Board of Faculties had recommended that class lists be abolished, a position agreed to by University Council. Priscilla Mensah, the CUSU president at the time, had cited a motion passed at a poorly-attended CUSU Council as evidence of a student mandate for their abolition. Attempts to abolish class lists were halted in November 2016 by both a referendum launched by campaign group ‘Save the Class Lists’, which found 55.2% of students in favour of an easier opt-out over their total abolition, and Regent House blocking of a Grace which had proposed eliminating the lists.